These incredible megaliths sit at the start of the Brodgar peninsula, in the middle of the Heart of Neolithic Orkney UNESCO World Heritage Site. Although only four stones remain standing, it’s still possible to get a sense of the scale and importance of the area. The Standing Stones of Stenness could be the oldest stone circle in the British Isles. There were originally twelve stones, with some standing up to six metres high, focused on a large hearth in the centre. Take the short walk to the stones and experience more than five thousand years of history. You can also enjoy free guided walks of the site with Orkney's Ranger Service at 10am every Wednesday morning. Follow the signs close to the village of Stenness. The Standing Stones of Stenness can be found on the B9055. 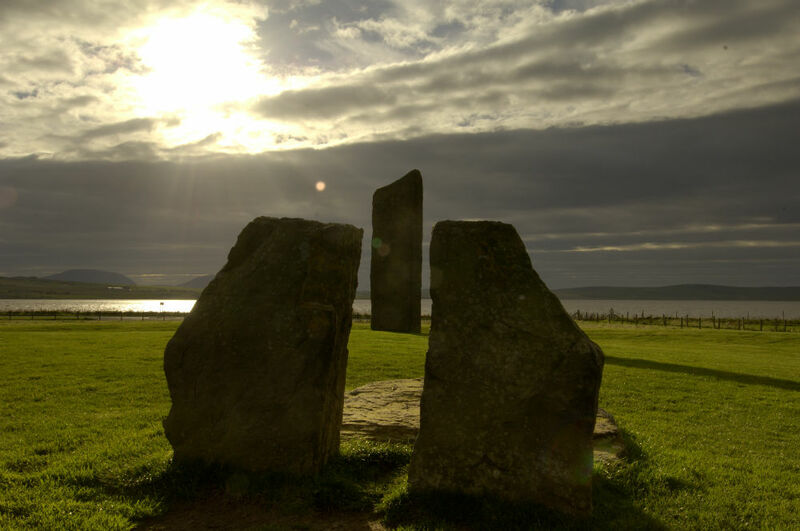 The main X1 bus route between Stromness and St Margaret’s Hope passes the junction for the B9055, with the Standing Stones of Stenness just a short walk away. 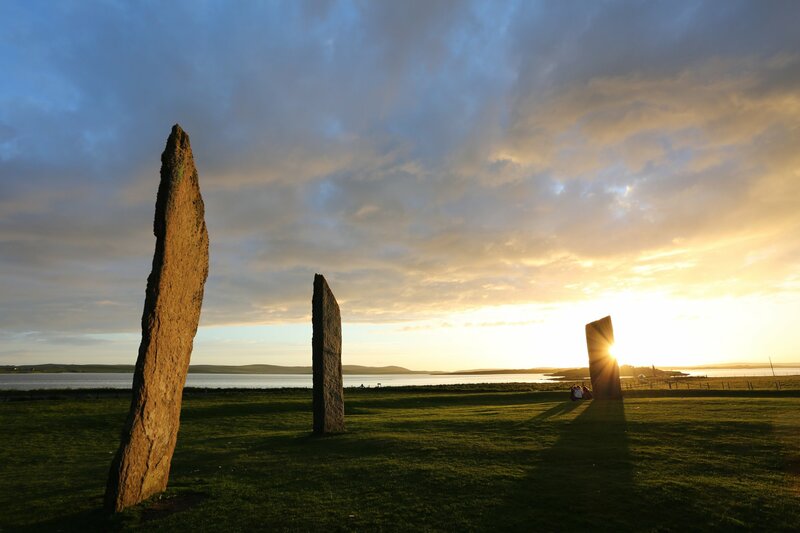 Heart of Neolithic Orkney World Heritage Site – the Standing Stones of Stenness are part of a ceremonial landscape in the islands, with Neolithic attractions including Maeshowe, the Ness of Brodgar and the Ring of Brodgar in close proximity. Happy Valley – south of the Stones, just off the Bigswell Road, you’ll find this unique and peaceful plot of land, full of trees, trails and burns. Happy Valley is the result of the work of local man Edwin Harrold, who dedicated his life to creating the habitat. It’s perfect for exploring with little ones. Eyrland Road – head over the Eyrland Road in the village of Stenness for spectacular views over Orkney’s World Heritage Site on one side, and then the Hoy hills and Stromness on the other. Barnhouse village – next door to the Standing Stones of Stenness you’ll find the remains of the Barnhouse settlement, a stone-age village on the banks of the Harray loch. Find out more about the West Mainland of Orkney and its attractions with our dedicated page. Search for accommodation in the area.